Welcome to the Hallmark Estates!Stunning two bedroom, one and a half bath with a wood burning fireplace!! 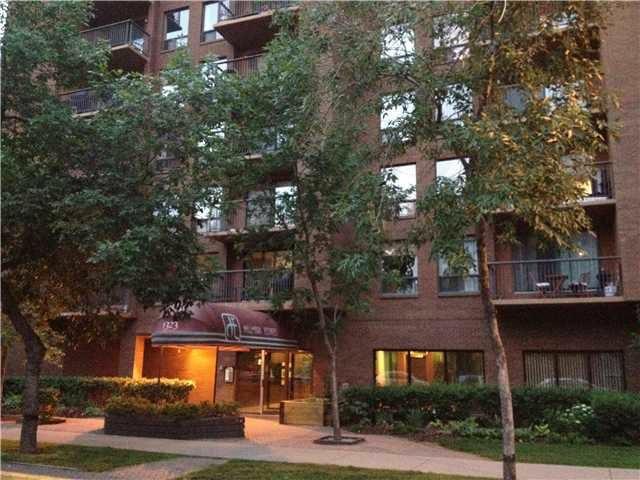 This bright, open plan, NW corner unit is move in ready! Espresso stained Antique Bamboo Hardwood throughout, stainless steel appliances, stone face fireplace, all new kitchen and bathrooms! The large master has a half bath en suite and a huge walk in closet! Enjoy a quiet morning with your coffee, newspaper and the sunrise... This totally, professionally renovated condo, is perfect for entertaining, and will definitely impress your friends and family!! And being located in the heart of "Uptown", you are within blocks of 17th Ave shops, restaurants and entertainment, and a few minutes walk into the downtown core... Everything is so close, you will find yourself wondering why you own a car! (That is safely parked in your secure, completely covered, parking stall, gathering dust!) Call your favorite Realtor to view! !